This CD is dedicated to the living musical heritage of the Karakalpak bards. 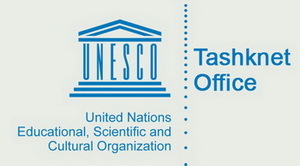 It is the fruit of a fieldwork inventory conducted in 2010 under the auspices of UNESCO,* in cooperation with cultural institutions from Uzbekistan and Karakalpakstan. This inventory, which was conducted across the entire region of Karakalpakstan, resulted in the recording of nearly 300 vocal and instrumental works. The 22 songs on this CD were selected with the help of several well-known musicians, including Qarimbay Tinibaev, the famous baqsi, girdjek player and professor at the College of Arts in Nukus, the capital of Karakalpakstan. In 1936, Karakalpakstan became an autonomous republic within Uzbekistan. It is situated in the Western part of the country, between Kazakhstan in the north and Turkmenistan in the south. Surrounded by vast stretches of desert, where a continental climate prevails, the Karakalpak epic heritage has been transmitted by two key figures of this culture: the jiraw and baqsi. The jiraw is a bard specialized in heroic epics. He depicts in his singing, the courage and strength of heroes involved in titanic combats. His narrative unfolds using a guttural tone and a deep voice reminiscent of the sound of his two-string fiddle, the qobiz. The voice and the fiddle of the jiraw, as well as the content and values revealed in his epics, convey the mythical world of the nomads and the wild steppe of Central Asia. As for the baqsi, his music stems from a rather different style. He sings epic poems, which instead celebrate courtly love, in a narrative style that describes the quest for love, either by an individual or a couple. The baqsi accompanies himself with a two-string lute, the duwtar, while singing in a natural voice. This tone of voice, the lute and the subject matter of the epics relate to the myths and dreams of the sedentary societies of Central Asia. Therefore, the musical culture of the Karakalpak bards rests today on two traditions that are not mutually exclusive, but rather complementary to each other, specifically in regards to performance. The epic is a narrative that lasts several hours, and at times several nights. In the old days, the baqsi or the jiraw were systematically invited to weddings. Their performance was one of the highlights of the ceremony. While the audience gathered around the fire, the baqsi began by loosening his fingers with pieces like Nama basi (tracks 1, 20 and 21). Afterwards, he would sing didactical and philosophical songs to warm up his voice (tracks 5, 8 and 12). Once everyone had gathered around, a venerable elder (aqsaqal) would ask the audience which epic should be sung. The aqsaqal would then recite a prayer (patiya) before the start of the performance. This occurred at a time when television, radio and technological entertainments were not part of everyday life. The narrative of the baqsi was rather like a film projection. His voice would bring all kinds of characters to life, and then to their death—characters embroiled in tumultuous adventures that enthralled his audience, to the point of forgetting the passing time. Each of these bards would devise his own musical, narrative and gestural means in order to sustain a lively performance, in the hope that the listeners would laugh and cry. The bard has a very important status and role to play in traditional Karakalpak society. He is the bearer of a knowledge that has been passed on from one generation to another; which has three levels of transmission. First, he transmits a cultural memory, which is historical and mythological in nature. This memory nurtures a sense of belonging and identity. Secondly, the bard possesses an artistic body of knowledge that has been transmitted to him by a master and to whom he will allude all his life. These epics are articulated through a distinctive musical aesthetic that was forged by the great masters of the past (Aqymbet, Muwsa, Suwej, Genjebaï…). And finally, his role in society is to pass on moral and ethical values to anyone listening to his singing. He is an exemplary role model, not only for his pupils who try to imitate him, but also for the whole of his society, desirous to listen to his voice and pay attention to his wisdom. It is obvious that the change that occurred in the past decades, both technical and socio-cultural significantly curtailed the social role of the bards, as well as their spheres of expression. Henceforth, the bard is subject to the time constraints of concerts abroad, festivals and competitions, as well as national commemorations, during which their performances rarely exceed ten minutes. Moreover, echoing the radical developments that took place during the 20th century, today’s bards are much less often solicited to perform during weddings; they are rather replaced by sound systems with many more decibels. As a result, some musicians, along with their activities as bards, mix traditional elements with pop music. Others, however, put their “nose to the grindstone,” in an effort to bring back complete epics from old recordings (G. Allambergenova, J. Piyazov). Nevertheless, the number of registered students at the Nukus’ College of Arts, under the auspices of G. O’temuratov, T. Qalliev, Q. Tinibaev or B. Sirimbetov, has never been higher, since the college opened in 1991. The interest of young people in the work of the bard is undeniable, as is evidenced by their participation in competitions, or in the fieldwork inventory of 2010, during which young bards could be recorded all over Karakalpakstan. 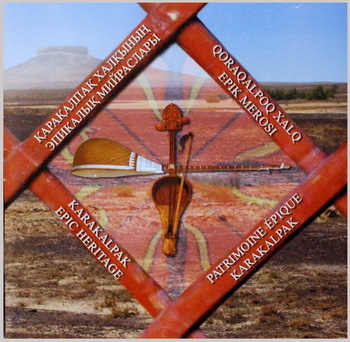 Thus, the release of this CD is a testimony to the life of the Karakalpak epic traditions, a tribute to the most influential bards of today, and a support to young people who endeavor to continue an ancient art of oral transmission, which has endured the expanse of many centuries, up to our present day. 1. Nama basi, G’. O’temuratov, duwtar, trad. 2. Asirim, B. Sirimbetov, voice and qobiz, trad. 3. Ga’lga’lay, O. O’tambetov, voice and duwtar (N. Nuratdinov, girdjek), trad. 4. Saltiq, G. Xamitova, voice and duwtar (I. Sabourova, girdjek), trad. 5. Begler, B. O’tepbergenov, voice and duwtar, trad. 6. Ulli ziban, J. Piyazov, voice and qobiz, trad. 7. Qoshim palwan, B. Asqarova, voice and duwtar (I. Sabourova, girdjek), trad. 8. Ken’esli ton, M. Aekeev, voice and duwtar, trad. 9. Kelte nalish, Z. Ibragimova, voice and duwtar, trad. 10. Idiris, N. Nuratdinov, voice and duwtar (G. Sultamuratov, girdjek), trad. 11. Qa’wender, M. Jumatova, voice and duwtar, trad. 12. Tolg’aw, B. Esemuratov, voice and qobiz, trad. 14. Besperde, T. Qalliev, voice and duwtar (S. Qayipnazarov, girdjek, A. Atarbaev, balaman), trad. 15. Sa’rbinaz, G. Allambergenova, voice and duwtar (I. Sabourova, girdjek), trad. 16. Adin’nan, A. Seyilxanov, voice and duwtar, trad. 17. Sanali keldi, Z. Sheripova, voice and duwtar, trad. 18. Qu’nxoja, T. Qalliev, voice and duwtar, trad. 19. Muwsa sen yari, N. Nuratdinov, voice and duwtar (G. Sultamuratov, girdjek), trad. 20. Qa’nigu’l, G. Allambergenova, voice and duwtar (I. Sabourova, girdjek), trad. 21. Nalish, M. Jumatova, voice and duwtar, trad. 22. Aq ishik, G’. O’temuratov, duwtar, trad.